This project had many parameters. 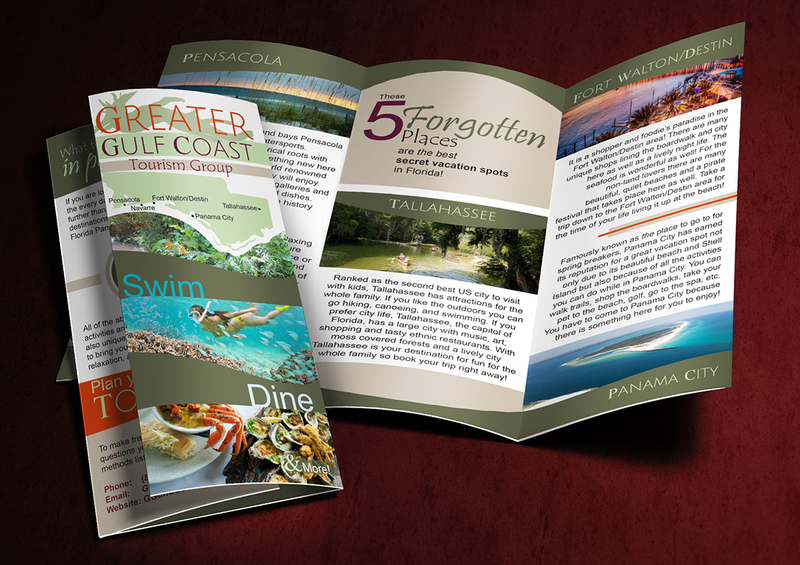 The scenario was that 5 different locations along the greater gulf coast paid the same amount to be represented in the brochure. This meant that I had to give them all equal representation. Also, Tallahassee, unlike the other locations, does not have beach front so if I made it all about the beach that would be incorrect. Ultimately after some sketching and lots of laying out I think I was able to represent each location fairly. 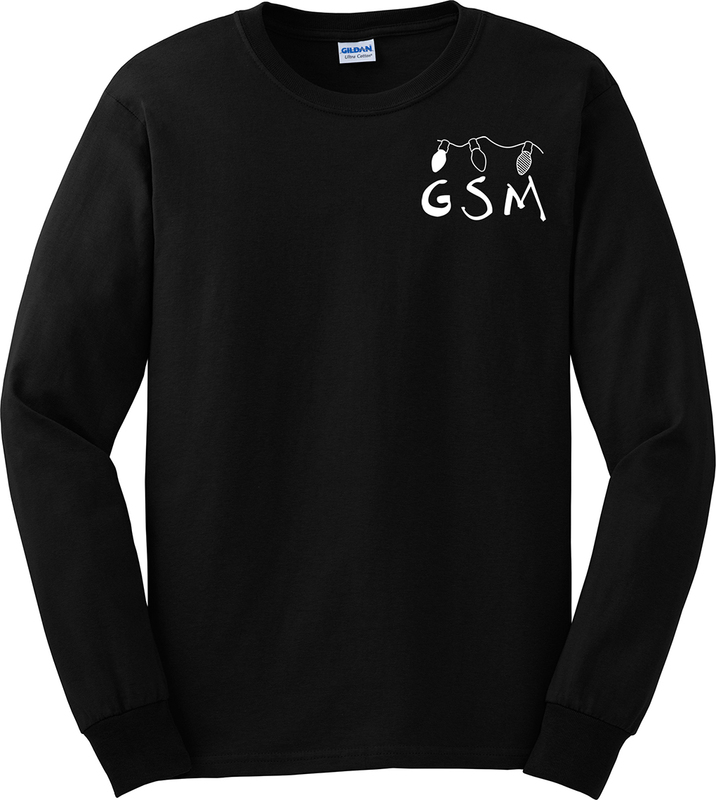 This is now the 4th shirt I have done for Gateway Church of Christ's Youth Group. The client told me that since I have done so well on the other three shirts I have made for them in the past, he was coming back to have me design their 2016 Fall Retreat shirt. 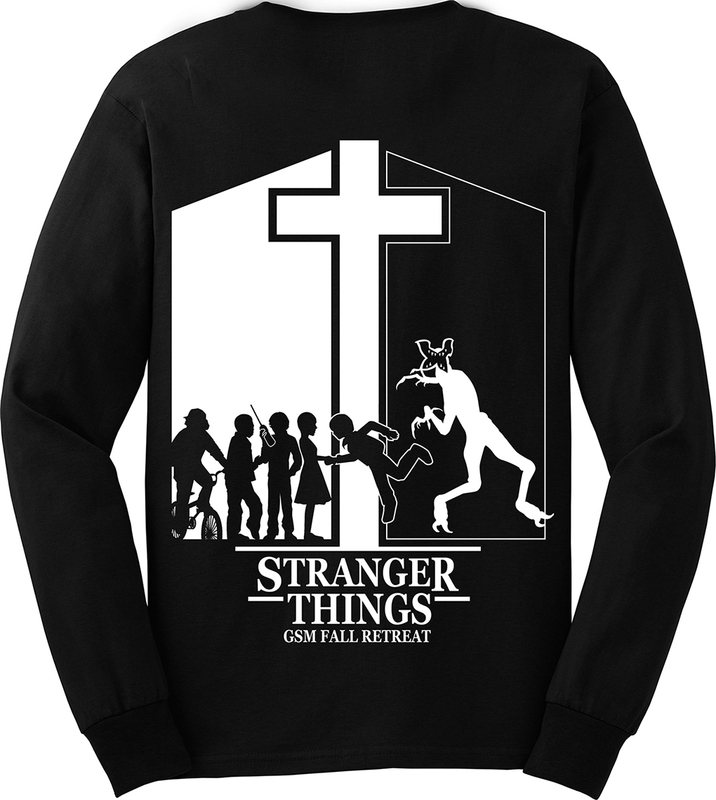 The Fall Retreat theme this year is "Stranger Things". 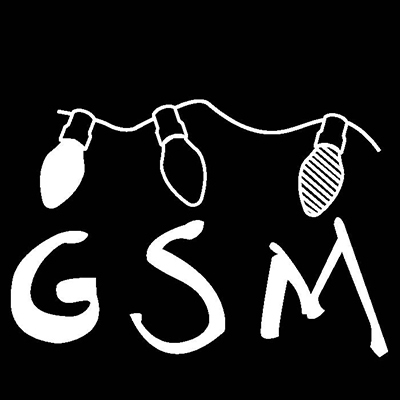 The client told me that they were positive the name was inspired by the Stranger Things series on Netflix. He sent me three images to take inspiration from. 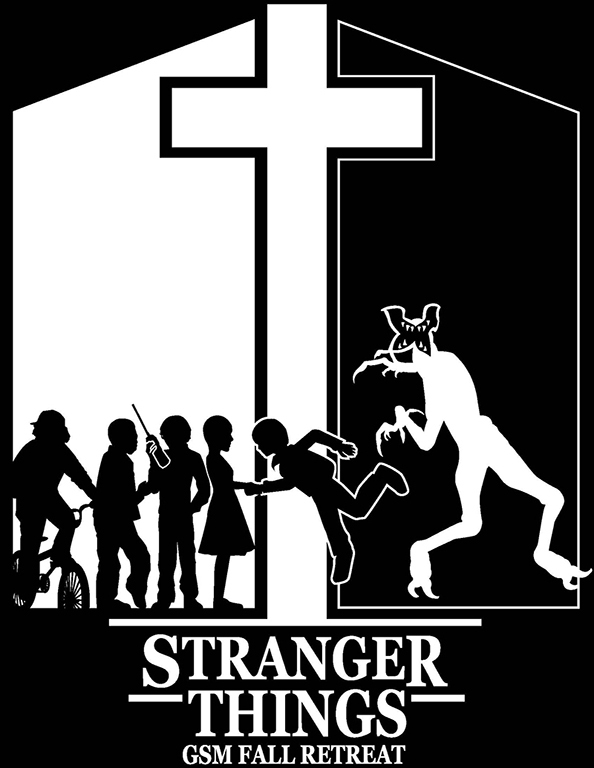 All of the images were themed after the show so I told the client to better understand the theme I would watch a few episodes of Stranger Things. I ended up watching the whole first season and I got a very good grasp of what the show was all about. This truly helped me come upon a design that would reflect both the series and the retreat theme. The T-shirts have not been ordered yet (they usually order their shirts at the last minute) but once the shirts are ordered and come in I will be allowed to have one for myself to wear and also use as a physical example of my work. This was a class project that I had a lot of fun with. 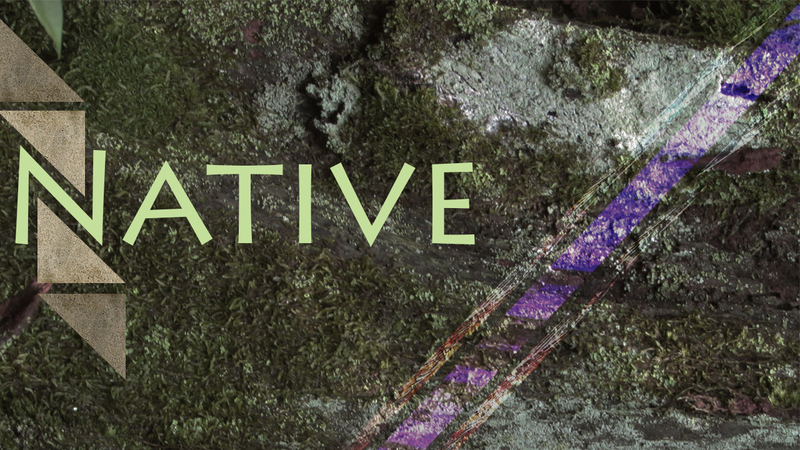 The theme was 'collage' so I decided to use my own photographs in the artwork. I did this by first creating the graphics in Illustrator and coloring them to get a general idea of what color I wanted them to be. 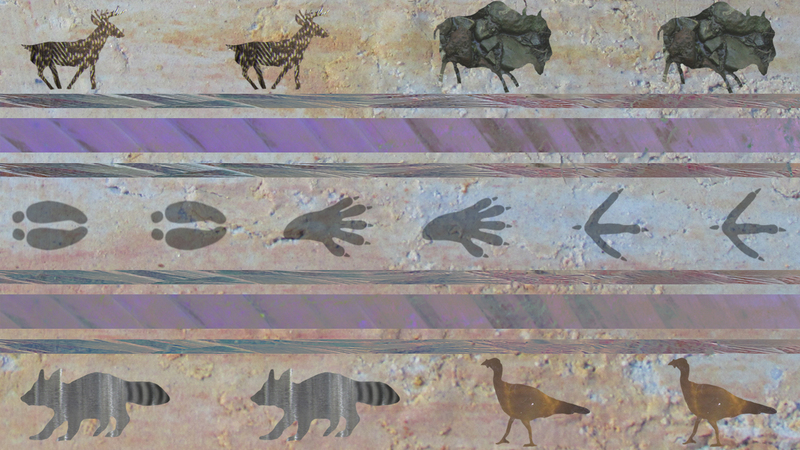 Next, I put them into PhotoShop to put clipping masks on each layer. 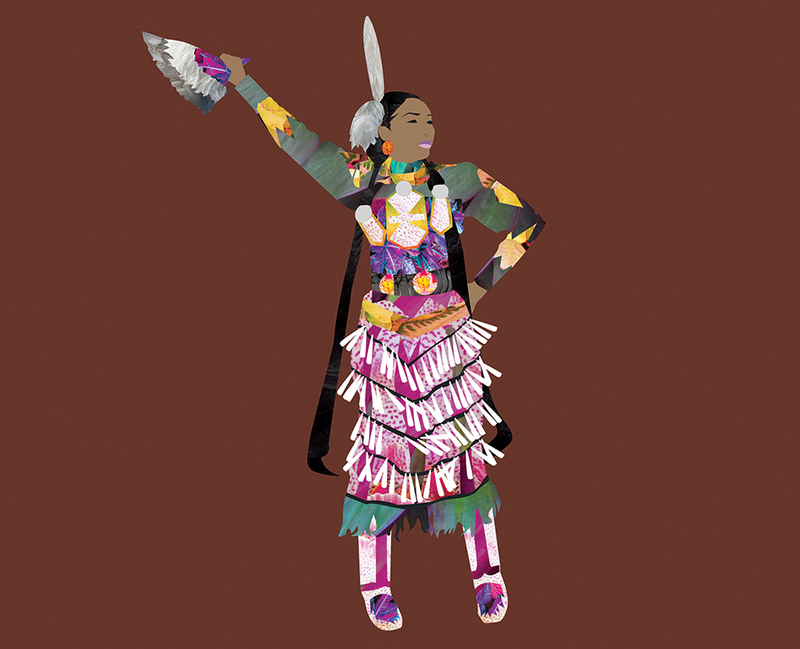 It was through clipping masks that I was able to place the photographs over each area in my artwork. Some of the photos I left un-edited while others I tweaked with the colors. Finally, I animated everything in After Effects. 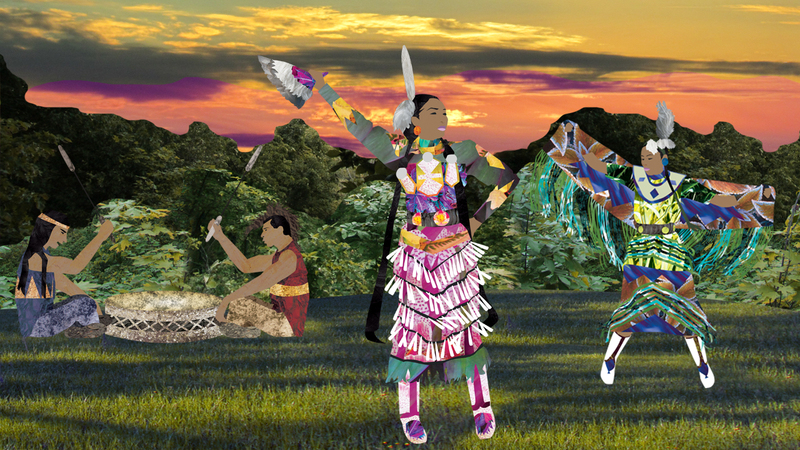 I chose to animate Native Americans because I am Native American and had recently been to a Pow Wow which really had me in a Native spirit. I love my heritage! 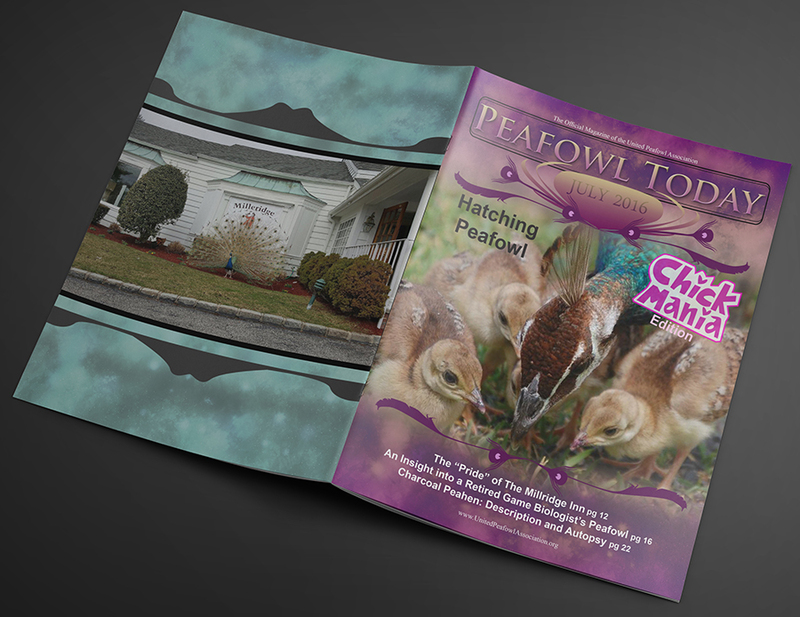 At the end of 2015 I was asked to be the United Peafowl Association's magazine editor. 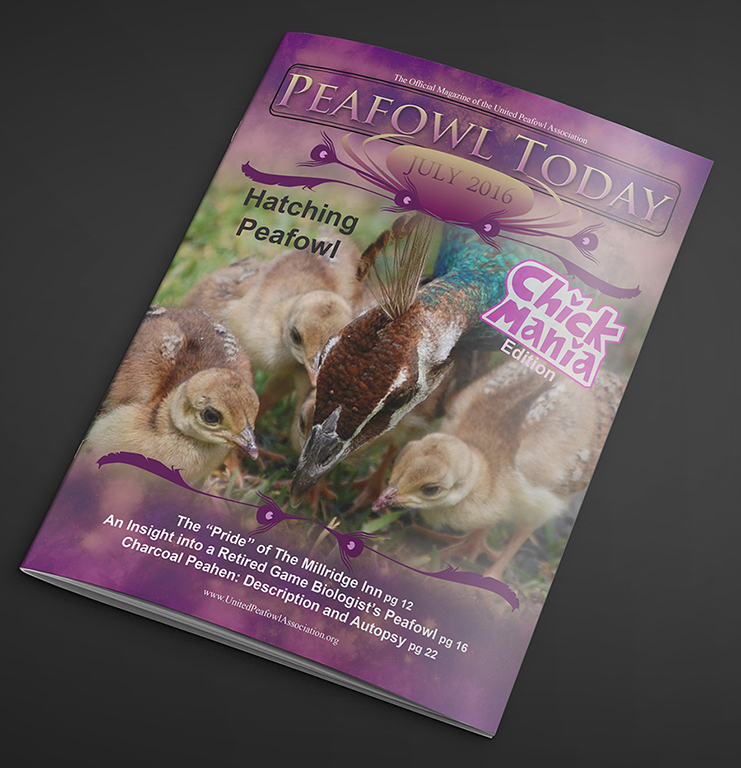 The magazine, Peafowl Today, is a globally distributed magazine sent out to peacock (peafowl) fanatics and owners. The UPA was having trouble gaining and keeping members but since I have become the magazine editor we have increased interest in the association as well as increased members. I get told often by magazine subscribers that they enjoy my work on the magazine. Originally the magazine was very simple and it was all in black and white. Since I have become the editor I have made everything in color, I make sure to spice up articles by adding photos to go along with the text, and I make a lot of graphics for the magazine. It is tough at times to work on college work as well as the magazine. It is hard because I am the sole editor. I find and get permission to use all images seen in the magazine, I encourage people to donate articles, I read over articles and correct any mistakes I find, I work with ads and advertisers, etc. 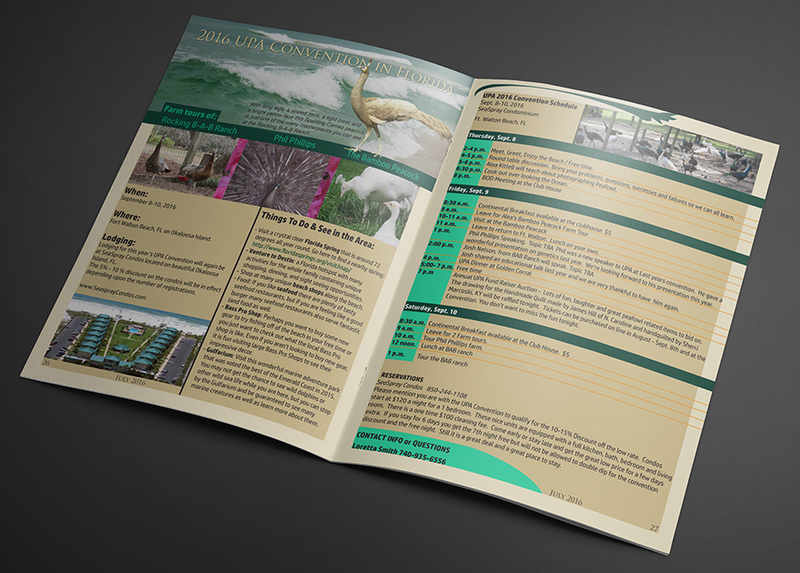 There are a lot more things that go into each magazine! I also have to meet with the Board of Directors of the UPA to go over the magazine. I email the board the PDF of the magazine and usually on Sunday nights they call me and we have at least an hour long conversation on the phone going over the magazine and any corrections I need to make or things I need to add. It has been a tremendous opportunity. My name is Alea Kittell and I am currently earning my BFA in Graphic Design at the University of West Florida. I have been making art since I was in diapers but it was not until high school that I really started learning graphic design. I was blessed to be a part of a multimedia program at West Florida High School of Advanced Technology and through this program I learned PhotoShop, Illustrator, DreamWeaver, Premiere Pro, After Effects, Flash, and more. In college I have learned even more about these programs and my abilities have truly been tested. Outside of school I do a bit of free-lance work. 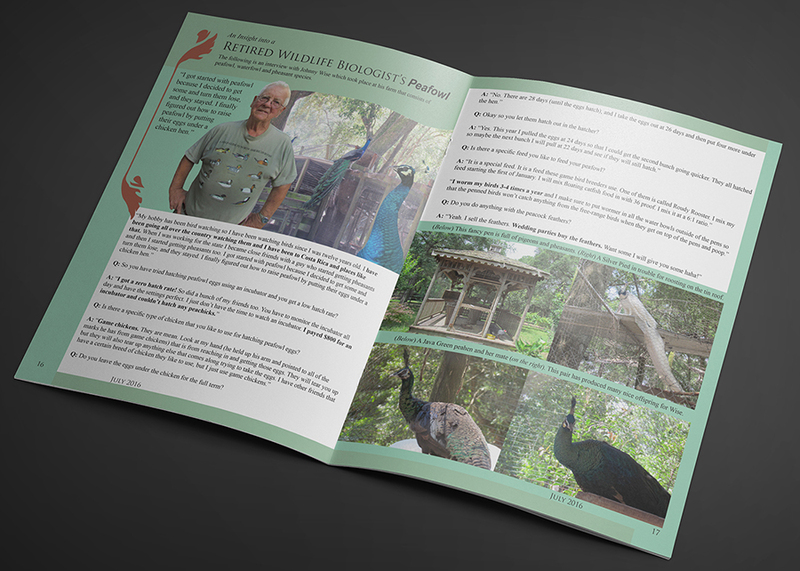 I am the sole editor of the United Peafowl Association's Peafowl Today magazine so I am very busy gathering articles, making graphics, laying out pages, and finding photographs to use (with permission from the photographer). Every now and then I create T-shirt designs for our Church's youth group events. 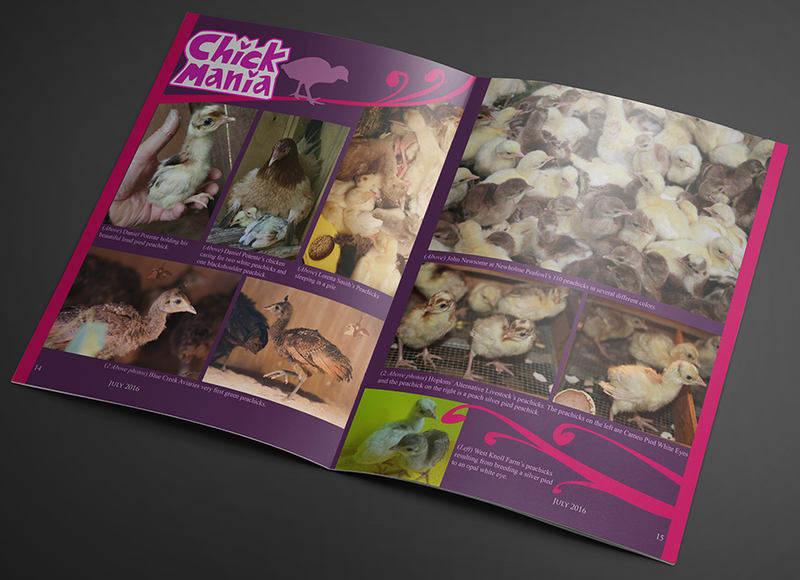 Sometimes I help my Mom with client's graphics for her ad specialties business. I do a little bit of everything and I enjoy working on a variety of things from illustration and graphic design to even photography and videoaugraphy.